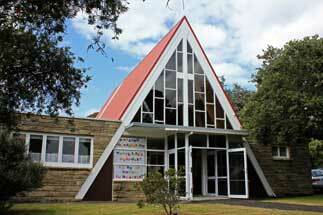 Welcome to the New Christian Church in Auckland, New Zealand. We are a small, intimate group who would love to support you as you begin a new journey in your life. Come and visit us; everyone is welcome and we will be happy to meet you. All people can go to heaven if they have lived a good and neighbourly life according to their religion or faith. When our physical bodies die, our spirits choose where to go based on what makes us happy, and the kind of life we have chosen to lead on earth. The Lord gave us the ability to think independently, recognise good and evil, and make decisions for ourselves. He continually gives us opportunities to choose to do the right thing without forcing us. There is one God of all people, revealed in the person of Jesus Christ. God is love and He came on Earth to allow us to see him and approach him. The Bible has different levels of meaning including a literal level about the historic establishment of Judeo-Christian religion, and a spiritual level about the Lord God Jesus Christ. The whole Bible is a parable teaching about our personal spiritual development and the way to heaven.